Are you wondering how to successfully negotiate for a lower rent? Knowing the right techniques will determine the success of the transaction. Here are ten ways for you to effectively negotiate for a lower rent. In making a deal it is important that you have something the other party will be interested in. When it comes to taking a lease what every landlord wants is a tenant who will not give them any headache in every aspect. These aspects among others include paying rent on time all the time and someone who will not cause any problem at all. Make sure your landlord knows you are a good tenant. If he is a prospective landlord show some proof that you have been an ideal tenant in the former unit you were renting. Search for any rental specials online. If the place you are renting has a website check out what they are offering to new tenants. Then see what other complexes have to offer and make the comparison. You will certainly see some newer units that are offering comparable rent to your older apartment. You can use this comparison to determine a reasonable deal with your landlord. Emphasize your best characteristics as a tenant but make sure these positive aspects are true. Moreover apart from not telling even as much as a “white” lie, avoid telling your landlord that you would rather move to another complex if you can’t get a lower rent unless of course this is real and that you are ready to move out. Landlords know the cost and hassle of moving so most likely they will take you on that challenge. From then on negotiations not only went down the drain your relationship with your landlord has also become strained. Be confident when striking a deal but keep the atmosphere friendly. When you pay in advance you are in a better position to ask for a discount because landlords find it very attractive to receive cash in bulk rather than wait for the rent’s due since there are several things he can use the money on. Landlords will always prefer to have someone renting out their apartment than having it vacant. You can ask for a reasonable discount if you are going to stay for more than a year. What makes a longer contact better is that it saves you from rent increase after the first year and if within the two years the manager finds you to be a valuable tenant you are also in a better position to make a deal for a lower rent. Just be prepared for a counter bargain from the landlord. Promise that you can take care of the minor stuff. If you are negotiating for an extension of the contract give them a list of the minor repairs you did yourself and did not bother them about even if the contract states it is their responsibility. Assure them you will continue to take care of the small stuff. If you are a new tenant check for how long the unit has been empty. You will be in a better bargaining position if the unit has been empty for a month or more. If you are a current tenant whose contract is almost over you have more likely received a letter from your landlord already. You really do not have to jump the gun. Just stay calm. In fact you can wait for the follow up letter to arrive. Landlords are more open to negotiations when your contract is almost over. This means more research. 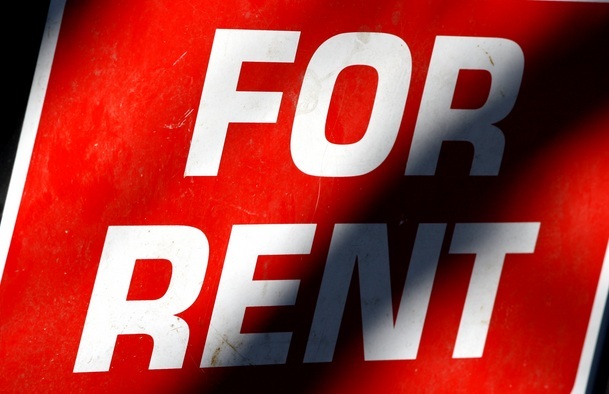 See if the complex where you are renting have more vacant rooms than occupied ones. Make your landlord realize it is better business to keep you because it will be additional cost on his part to have another unit vacant while you also cannot afford a rent increase. When he knows you are a good tenant he would want to keep you for as long as possible. When your current financial condition just cannot afford any additional expenses tell your landlord. The fact is they know the economic conditions too and they know they will be spending more if the unit is vacant. This way you can reach an agreement where the end is beneficial to both of you. Either your landlord is the owner or he answers to a higher authority a deal is best put into writing. Make your letter clear and factual so that what your landlord needs to do is just affirm and confirm. Your landlord already knows you are a valued renter and of course as in any business they want to keep a good customer with them for a long time. When we did this, I just told him flat out I couldn’t pay what he was asking. We did some back and forth, and then finally came to a number that worked for both of us. It hadn’t even been moved out of yet, but they like having new tenants lined up, too, I think. For some reason, I think you’re more likely to be able to negotiate a lower rent in winter, too. I have nothing to back that up other than personal experience, though. I think the best is also offering to pay several months of rent in advice. This may work for owners but not apartment complexes. I tried to pay a few month at my complex and they mentioned something about if they needed to evict someone it would be hard if they already paid several months already. These are great tips and I’ve definitely used some of them in the past. I’ve actually been able to negotiate $100/month rent in exchange for taking care of a rather large property – land lords value not having to worry about a property! Negotiation is a good way to go. It can be surprising what we can get by simply asking. Yes often we don’t negotiate and go by the prevailing rent in the area. Just ask for it readers. Rent is something that many people don’t realize they can negotiate. Since it’s one of the largest expenses, why not try to negotiate a lower rent? Only good can come from it. Good tips. No doubt. Wonderful tips. Signing up for a long term, may be year or two would help you to get a better deal. and its proven, I am the witness, so go for it! Paying more than one month in advance is a great way to save money. This is what I had my sister do and she was able to save about $500 in 3 months. She’s lucky enough to get such a huge discount. In my experience it was just $50 a month difference. Pretty good article. I think that in big cities, the rise in private Landlords is providing more room to negotiate on rents, especially if it is renewing a current contract. In London, where I am, this is certainly the case (after 3 years of rents only going up – like 7 to 10% a year!) The tips above are good; if your readers are in England I would add them to these 2 resources (http://england.shelter.org.uk/get_advice/finding_a_place_to_live/renting_privately and http://londonandproperty.com/negotiate-rent-2/)and I think you have plenty of ammunition to go get a rent reduction – yay! As a property manager of residential rentals in a small city, I see no reason to lower my rents for any tenant just because s/he has a been a good tenant. Negotiating is a two way street, after all. If you want a rent reduction, instead of “threatening” to leave because the apartment down the block has a swimming pool or better amenities, how about offering to rake leaves, or maintaining the laundry room in clean condition, or shovel snow. Such offers will get my attention faster than enduring another whiny, self entitled millennial who thinks s/he is owed the world. Negotiating means both parties come to the table prepared to offer something. Just wanting lower rent because you believe you’re a wonderful person doesn’t cut it. This is a very great article! Very useful! you can check out my short guide on how to lower rent in Shanghai on my WordPress page! In my case, I can say that I was pretty lucky. I tried and tried to find an affordable rent for about three months and at the end of this period of time I found a nice flat outside the city at 5 miles of the city center and I negotiated a monthly rent of only 400 Euros. Living on the North side of Italy and very close to Germany, I can say that my two room flat at only 400 Euros/month is actually a bargain, others pay at least 550 or even 600. Do some research is one the most important tips here. Many tenants fail to negotiate a price, cause they are not prepared. Craigslist is a great resource for helping to investigate current rent ranges .While making a research don’t forget to find out out how long the property is on on the market. If it vacancy rate is more then 2 months, the property owner might be more willing to negotiate your rent. I also know that tenants have the oppurtunity to negotiate a price, without meeting their potential landlord. With the help of new service rentberry.com applicants can offer price online.